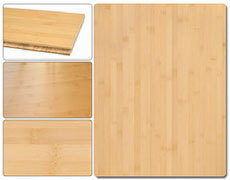 Carpet Specialists is your source for environmentally-friendly flooring options, including cork and bamboo. Cork and bamboo are gaining in popularity as alternative flooring materials because they offer many eco- and health-related benefits. Cork is now available in a wide variety of textures, patterns and colors, so you can have a floor that is unique as a focal point in your space. 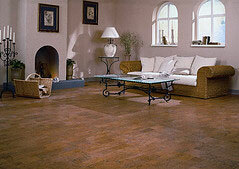 Today’s cork flooring options are beautiful, durable and easy to maintain. It’s a natural material that provides numerous benefits. Cork provides a natural shock absorbing surface, great for spaces where you stand a lot (such as a kitchen). It’s unique cellular structure helps reduce noise and vibration. A substance that naturally occurs in cork repels insects, mites and mold and protects cork from rotting in wet conditions, plus it’s anti-allergenic. It’s naturally fire-resistant and doesn’t release toxic gases if it should burn. Bamboo has seen a huge growth in popularity. It is available in a wide range of styles and is easy to care for. Bamboo is a renewable resource. It grows quickly, thus the supply replenishes very fast. Despite it’s rapid growth, it is an extremely strong material when cured for use in flooring. It handles high traffic areas well and has proven to need to be refinished less frequently than other flooring surfaces. Its inherent qualities make it adaptable for installation over a greater variety of surfaces and the wide range of available colors and finishes are sure to suit virtually any decorating taste.